Terrific 3 bedroom Bishop’s Bay condo w/ open floor plan. 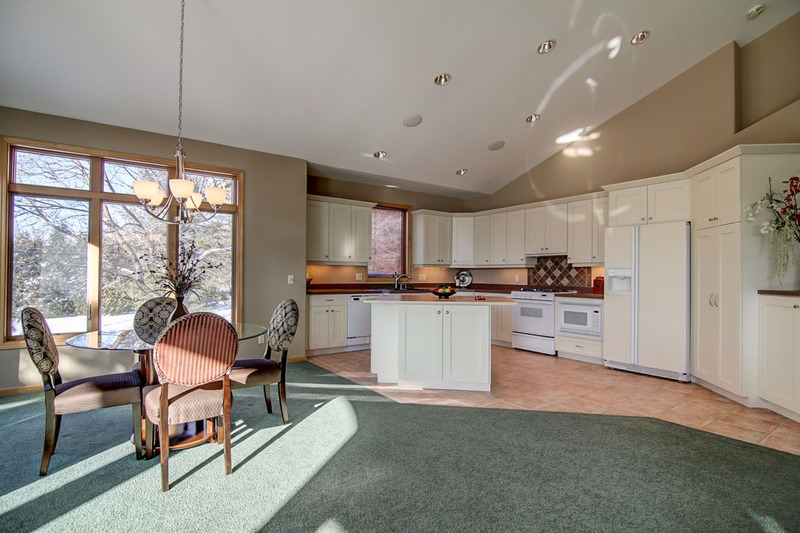 Vaulted ceiling in living-dining room w/ fireplace and kitchen give a brighter & more spacious feel. Main level also contains master suite w/ dual vanities in master bath. 2nd & 3rd bedrooms in lower level along with family room, & full bath. Large 2 car garage provides extra space for golf cart of other hobbies. Located in a quiet neighborhood that promotes a socially active lifestyle. This entry was posted in Bishops Bay Condo for Sale, Condo for Sale in Bishops Bay, Condo for Sale in Middleton WI, Middleton condos for sale, Middleton Condos for Sale by Association, Middleton WI Condo for Sale, Middleton WI real estate and tagged 5015 Mirandy Rose Court, 5015 Mirandy Rose Ct, Bishops Bay Condo, Condo for Sale in Bishops Bay, Condo for Sale Middleton WI, Middleton WI Condo for Sale. Bookmark the permalink.